Influence marketing is constantly evolving. 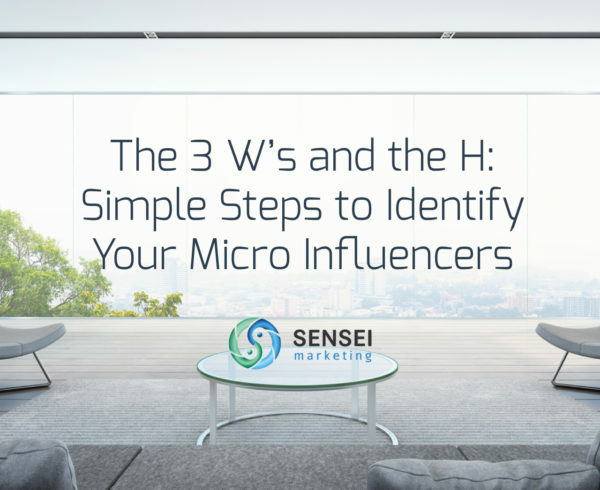 It’s no longer defined solely by number of followers, outdated vanity metrics and measures (see the fate of Klout), but now focuses on identifying the right influencers who have a greater impact on the desired market. Businesses make $6 for every $1 they invest in Influence Marketing. Only 3% of influential individuals generate 90% of the online impact. 49% of people rely on recommendations from influencers for purchasing decisions! 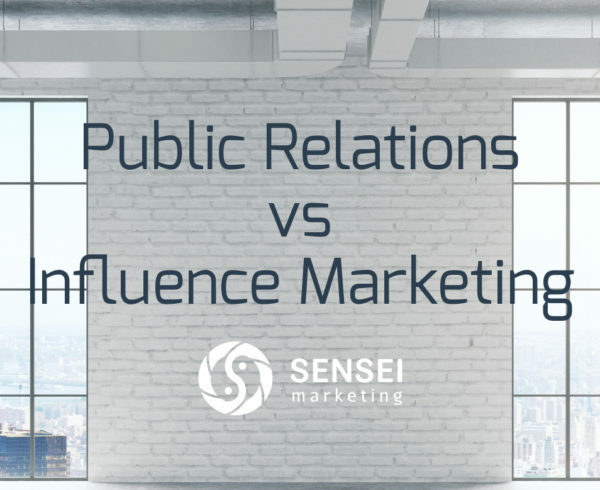 So, almost everyone understands the importance of influence marketing in today’s market, and yet there’s a lot of confusion around it. Where to start? What tools to choose? How to learn the basics? To help answer your questions, we’ve listed over 70 useful resources for you to start, maintain or advance your level of influence marketing. Start with the basics – follow influencer marketing experts on Twitter. To build your network on Twitter and learn lots of priceless insights, it helps to look to those who have already turned Twitter into a successful Influence Marketing platform. Colleen Toumayan – Colleen is an Executive Director of Toumayan Group PR agency. She specializes in B2B PR and Influence Marketing. Kristin Hersant – Kristin is a VP of Marketing for Linqia, the performance-based influencer marketing platform connecting brands with influencers. Tom Ward – Tom writes about influencer marketing for Forbes & Entrepreneur and hosts Under The Influence on YouTube. His Twitter account is a great source of trendy news in the industry. Neil Patel – Neil is a well-known columnist for Forbes, Inc, Entrepreneur, Huffington Post & more. Follow for the latest updates of his Marketing blog and podcast. Influencer Marketing by Top Rank Marketing – Follow for news, tips, tactics, tools, and top influencer lists managed by Top Rank Marketing, Digital Marketing Agency serving enterprise B2B brands. Influencer Marketing – This profile might not be posting a lot, but when it does, you don’t want to miss it. Follow for relevant trends & news. 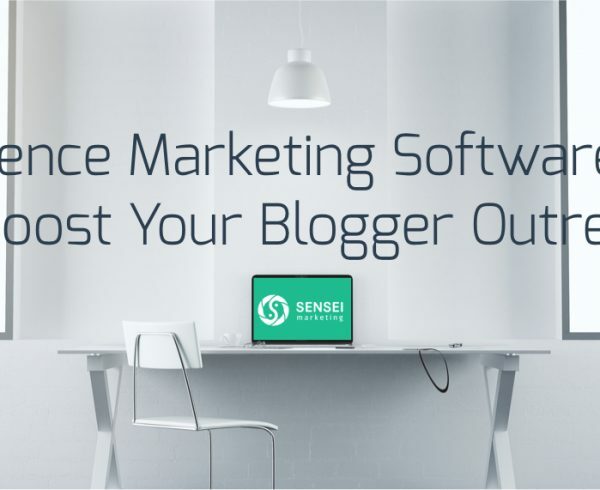 Influencer Marketing Hub – Account of a leading resource for software trends and social influence news. InfluenceThis Canada – Account of the Canadian IM conference and an awesome source of info on running effective influencer marketing and content marketing campaigns specifically in Canada. Sam Fiorella‏ – Sensei’s own, Sam is a Chief Strategy Officer and Partner at Sensei Marketing. He is known for co-authoring an Influence Marketing book and co-hosting the Marketing on Tap podcast. He is also a Professor of Marketing at Seneca College, Toronto. Matters of Influence – This blog is managed by the team of Traackr, Influencer Relationship Management software. Here you’ll find success stories, useful guides, and interesting interviews. GroupHigh Influencer Marketing Blog – The blog is managed by the team of GroupHigh, a PR and marketing software provider. You’ll enjoy great reads on blogger outreach, brand advocates, content marketing, and more. 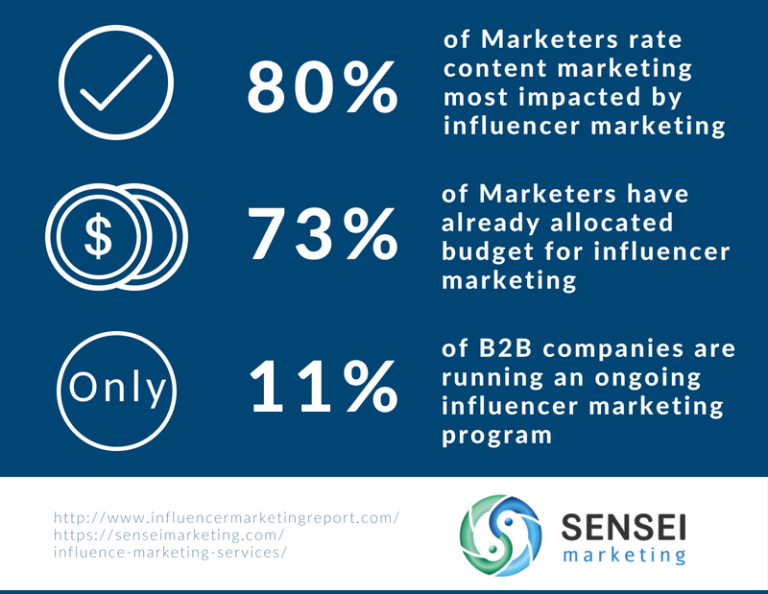 Influencer Marketing Hub – This resource offers you the latest Influencer Marketing news and tools with a strong focus on social influence. OJAWilliams – Owain Williams is a freelance marketer, influencer marketing nerd & writer based in the UK. He is known for his ability to explain sophisticated processes in a language everyone understands. Reddit – Influencer Marketing – Don’t underestimate Reddit if you want to learn the latest trends and tips. Here you’ll find lots of popular threads and discussions about influencer marketing. To save your time, we’ve created a short list of the articles from our own blog. Even if the concept of Influencer Marketing is new to you, these articles will get you off to a good start! While reading concise blog posts is a great (and simple) way to improve your self-knowledge, there’s still nothing like a good old book. Choose one of the Influencer Marketing e-books & books we’ve found for you. The Ultimate Influencer Marketing Playbook of 2018 – Inside you’ll find insights from 26 outstanding industry thought leaders and practitioners, and examples of 2017 and 2018 Influencer Marketing campaigns. Influencer Marketing: Identify the most relevant influencers for your audience – This eBook by Audience reveals how to adopt a strategic approach when it comes to finding the right influencers for your brand. How To Build An Influencer Marketing Program – Everything about building an influencer marketing program: from outreach to campaign strategy and tracking ROI. Brought to you by well renowned Bitly. Influencer Marketing Blueprint – The guide on how to find the right influencers, and develop a pitch. 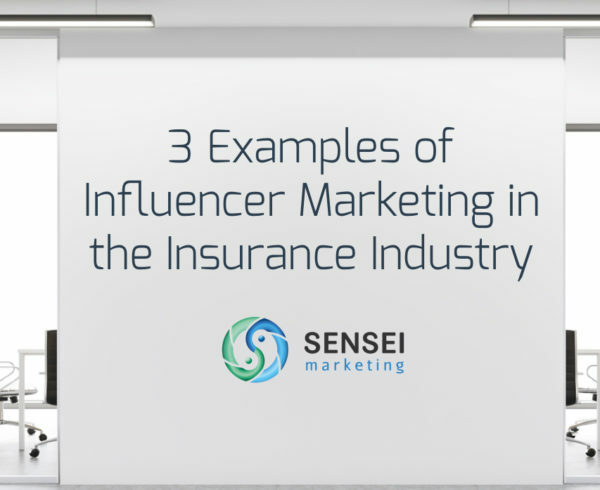 Includes downloadable templates to reach out to influencers effectively. A great piece by Shane Barker Consulting. The Content Marketer’s Guide to Influencer Marketing – The step-by-step guide by HubSpot and Traackr on how to build valuable relationships with influential people to increase traffic and leads. How To Measure Influencer Marketing ROI – The Complete Brand Marketer’s Guide on how to analyze and measure the results of your influencer marketing campaign. Brought to you by Influencer Marketing Hub. Influence 2.0: The Future of Influencer Marketing – A recent Global Research study by Brian Solis, Altimeter Group. The authors promise to change your perception of what’s possible to achieve with the help of Influencer Marketing in the future. Influence Marketing: How to Create, Manage, and Measure Brand Influencers in Social Media Marketing, Sam Fiorella & Danny Brown – Of course we’re biased, but this book won’t just help you identify and enlist key influencers: it will provide a blueprint that moves influence marketing beyond simple brand awareness and into sales acquisition and customer lifetime value measurement. The Business of Influence, Neal Schaffer – The author promises to teach you how to leverage Influencer Marketing for your business and yourself, and how to become more efficient at engaging with influencers. Webs of Influence: The Psychology of Online Persuasion, Nathalie Nahai – The author brings together the latest insights from the world of psychology, neuroscience and behavioral economics to explain the underlying dynamics and motivations behind consumer behavior. Influencer Marketing: Who Really Influences Your Customers? Duncan Brown, Nick Hayes – The book is packed with real-world cases and examples based on the author’s work with leading companies such as Nokia, Pedigree Foods, IBM. Agnes & Adam of FameBit talk through the basics of influencer marketing to help your brand get started. Check out their channel for the best influencer marketing practices and tips. Felix LaHaye, co-founder of Open Influence, talks about the four stages of Influencer Marketing. KPS Digital Marketing teamed up with Bit.ly to share 3 of simple yet effective Influencer Marketing strategies that you can execute today. Why Are Brands Choosing To Work With Influencers? With influencer marketing on the rise, brands are opting to work with influencers to tell their stories. Forbes asks the question – Why? 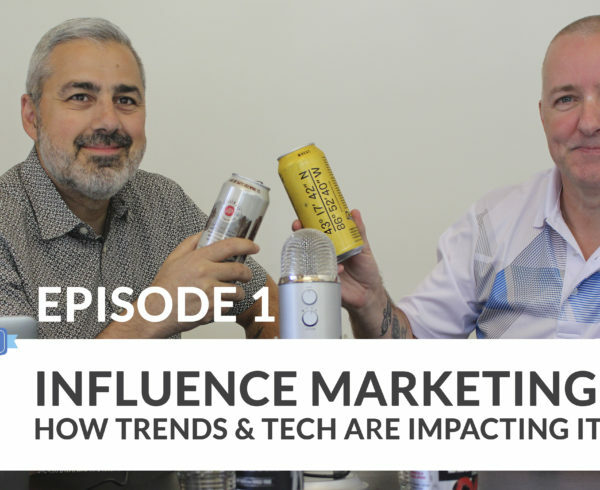 Mark Fidelman of Fanatics Media and Gil Eyal of HYPR discuss the latest topics on every influence marketer’s minds. Influence Marketing in a Post-Klout World is the first episode of the Marketing on Tap vlog and podcast presented by Sensei Marketing. Sam Fiorella and Danny Brown take a look at how influence marketing has changed since their acclaimed book on the topic came out five years ago. Also, If you like the idea of listening to an Influence Marketing Podcast during your commute or free time, check out the Marketing on Tap – A weekly source of the latest in marketing insights, trends, and technology for your business. Feeling ready to implement all you’ve learned? TweetDeck – While limited to Twitter, TweetDeck remains a great solution to track and engage influence in real-time, curating lists, and monitoring hashtags. Free. Influence.co – Identify influencers and quickly reach out to them. Gives you demographical info, social networks, and published content. Free and paid options. Live public influencer rate database – Find out what you should be paying based on different types of influencers in the industry. Free. Top Celebrity Influencers Leaderboard – View live follower count of Instagram, Youtube and Twitter accounts of top celebrity influencers. You’ll definitely be impressed by the number of followers accumulated since you visited the webpage. Free. BuzzSumo – Support your influencer outreach by finding heavily shared content, identifying influencers in your topic area and filter by location, reach, authority and engagement. Free trial. Sprout Social – Keep track of social conversations, easily engage with people and build lasting relationships. Free trial. Mention – Get live updates about your brand from the web and social media, watch what competitors are doing, discover new influencers and begin your outreach. Free trial. Nimble CRM – The first CRM that updates contacts with the information you need: company name, title, location, experience, social media etc. It’s also a dashboard that provides relationship insights and history about the prospects and existing customers. Free trial. Social Bakers – Understand your audiences to win more customers. Discover, and monitor conversations, engage, and measure results. Free trial. Influitive – This engagement platform inspires your customers to stay longer, and share their experiences. Paid. Sysomos – A unified, premium social platform that gives marketers the easiest way to search, discover, listen, publish, engage, and analyze at scale across earned, owned, and paid media. Paid. Pitchbox – Find the best influencers using a keyword search, and customize outreach emails. Paid. Upfluence – Select your influencers and manage & analyze your influencer campaign performance at scale. Paid. Attend the upcoming Influencer Marketing events. Meet the brightest of the industry and learn the latest trends. August 3-5. ConnectHER Media Social Influencer Conference, Las Vegas – An invitation-only event for Influencers, Brands, PR, Marketing, and Entrepreneurs. The organizers promise an exclusive event, rich content, and networking. August 10-12. Summer in the City, London, UK – SITC is the UK’s answer to Vidcon. Set up as a community meetup six years ago, SITC has become THE YouTube event, filled with creators and businesses alike. It’s likely that every UK influencer worth knowing about will be at SITC. September 4-7. Content Marketing World 2018, Cleveland – The conference has over 40 tracks to get involved in, including a specific focus on influencer marketing, B2B and B2C strategy, and content creation. September 4-7. INBOUND 2018, Boston – INBOUND is an annual event hosted by HubSpot. It features four days of inspiring talks from well-known speakers, plus educational breakout sessions led by innovative marketing, sales, and customer success practitioners. October 15-16. Influencer Marketing Show 2018, London, UK – During the two days, speakers will uncover the tools, methods, and strategies used by leading brands to evaluate community, celebrity, micro and macro influencers reach and create meaningful relationships. Numerous networking opportunities are included! Ready to take your learning to the next level? Academy of Influencer Marketing by Traackr – A free online course which will only take about 1 hour to finish. Helpful if you want to learn the basics for free and don’t have much time. Lynda: Influencer Marketing Fundamentals by Geno Prussakov – This online course is a very popular influencer marketing 101. Perfect if you need to learn the basics or sharpen your skills. Lynda is the Linkedin owned education platform, it’s paid but you can get the first month for free. Zoe Linda: Influencer Marketing Masterclass – Zoe’s comprehensive e-course is broader and includes 6 modules, from the intro to influencers, how to come up with the best collaborating idea, finding & reaching out to influencers, to post-campaign tips. The first lesson is free. Workshop on Social Influence, Barcelona, Spain – The workshop is held in conjunction with the 2018 IEEE/ACM International Conference on Advances in Social Networks Analysis and Mining on 28th August 2018. Consider attending if you’re interested in influence marketing with the focus on social. 2-Day Influencer Marketing Crush Course by Influencer Marketing Hub, UK & US – These hands-on workshops provide brands and marketers in UK and US with the necessary tools & knowledge to set up and run successful influencer marketing campaigns at scale. Keep an eye on upcoming dates, the event takes place every 8 weeks. Influence Marketing Workshop by Sensei Marketing, Toronto, October 24 – Our own full-day workshop is for B2B marketing and sales professionals, executives, and those looking to learn how to launch an effective IM campaign. After this full-day course you will be able to launch an Influencer Marketing Strategy that will catapult your B2B brand over the competition! Influence Marketing Corporate Training Course by Sensei Marketing, North America – A 3-Day course completely customized for your company taught by the person who literally wrote the book on influence marketing. Perfect if you want to learn how to create & execute an influencer marketing strategy to grow your brand and business. Decided to delegate Influence Marketing tasks? 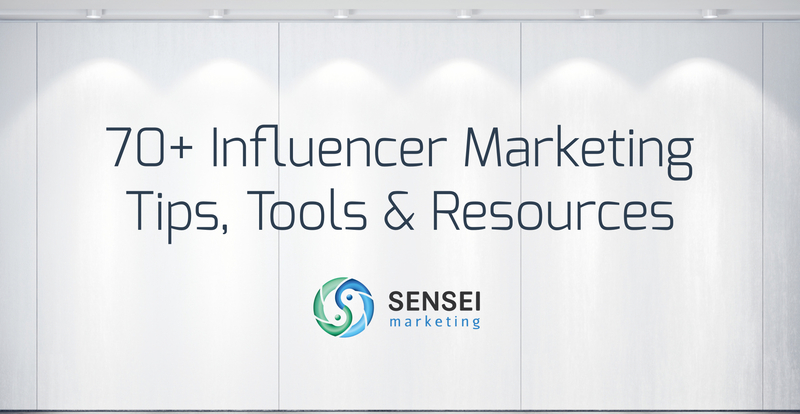 Sensei Marketing, yours truly, check out our Influence Marketing Services.